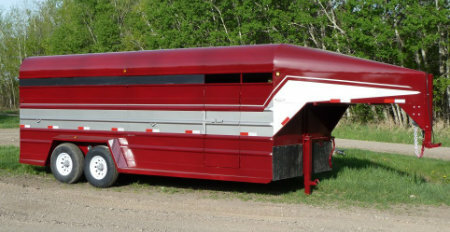 Stock Trailers Canada | Blue Hills Trailer & Fabricating Ltd.
Blue Hills Stock Trailers are designed to give you years of trouble-free use. Our 5 year structural guarantee is the best the market has to offer in confidence and design. 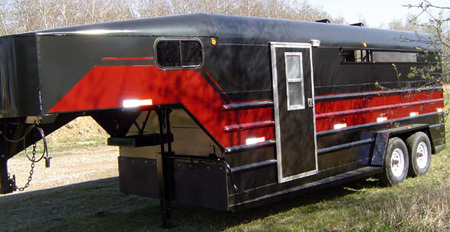 The best trailer design is a combination of durability, strength, lightweight and lasting finish at a fair price. Comparing options and prices will put Blue Hills at the top of your list, so call us before you buy at 204-728-3597. Dealer inquiries welcome all across Canada. 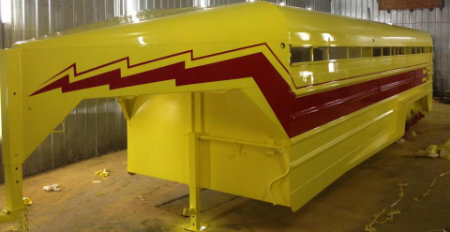 If you would like to handle one or all of our lines, call Brent at Blue Hills for details about our products. 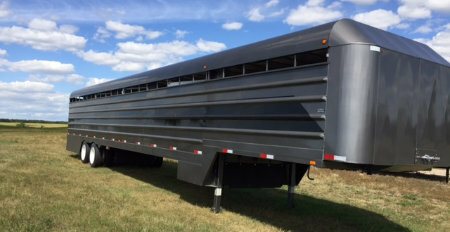 We handle only quality products and manufacture the best line of stock trailers in the business, including a full line of flat deck, horse, and bumper hitch trailers for every need.